Co-founder and Executive Director of Watershed Conservation Resource Center (WCRC). She has her Master’s degree in Chemical Engineering from the University of Arkansas and brings over 30 years of experience to WCRC. 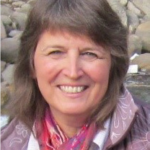 Sandi is responsible for project design; grant writing; developing budgets; providing technical assistance; and carrying- out watershed based projects. Matthew A. Van Eps, P.E. Co-founder and Associate Director of Watershed Conservation Resource Center (WCRC). Matt has a Master’s degree in Environmental Engineering and a Bachelor of Science degree in Chemical Engineering. He brings over 18 years of experience to WCRC. He is the project engineer for several stream restoration designs and implementation projects in Arkansas. 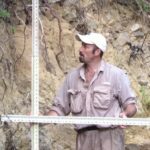 His background has served to develop his understanding of the physical, chemical, biological, and anthropogenic processes affecting watershed resources. Tyler has his Bachelor of Science degree in Agricultural Engineering and a minor in Environmental and Ecological Engineering. He has been with Watershed Conservation Resource Center for over 4 years. Tyler has assisted with all aspects of natural channel stream restoration design during his time at the WCRC. 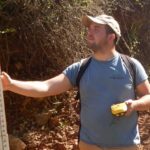 His experiences include field data collection, project design, construction oversite, site assessment, and volunteer coordination. He also is involved in permit applications and report writing. Aaron has a Master’s of Science degree in Environmental Engineering Sciences and a Bachelor of Science in Biological Engineering. 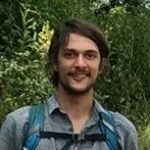 Aaron oversees native plant community management on restoration sites including planting layout, native vegetation monitoring, invasive species control, fertilization and irrigation of newly established native vegetation. Oversees small-scale native plant nursery operations. Coordinates field crew during restoration implementation. Assists in construction materials procurement. Performs GIS analysis and mapping. Performs and oversees maintenance and repair work on project sites. Performs topographic and bathymetric survey data collection. Performs survey data analysis. Coordinates community outreach volunteer projects. Conducts site monitoring and reporting. Jordan has a B.S. in Civil Engineering with an emphasis in Environmental Engineering from the University of Arkansas, as well as a minor in Sustainability of Built Systems. Previous to this position, Jordan worked as a survey intern for the Arkansas Highway Transportation Department and then for the City of Springdale where he worked to establish a citywide GIS roadway network to better predict pavement deterioration rates. 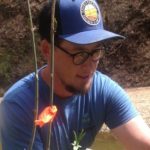 Jordan has participated in all aspects of stream restoration beginning with WCRC as a field crew member where he assisted in construction of the restoration projects, invasive species management, and native species reintroduction. 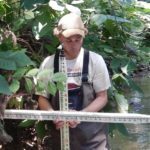 He now assists in stream monitoring, riparian plant monitoring, GIS analysis, and survey data collection for potential and existing stream restoration sites. Jesse started with Watershed Conservation Resource Center in July 2014. As the Field Supervisor, Jesse over sees and assists the field crew with planting natives and removing invasive species at all WCRC's past and present project sites. In addition, he manages the greenhouse and is responsible for all the field equipment. Joe joined the WCRC the end of June 2018. He has a Bachelor of Arts in Anthropology. Joe assists with the planting and maintenance on all WCRC's past and present projects. Greyson started working with Watershed Conservation Resource Center July, 2018. With a Master of Science in Aquaculture and Fisheries and a Bachelor of Science in Biology, he assists with the planting and maintenance on all WCRC's past and present projects. Jordan started at Watershed Conservation Resource Center (WCRC) in the summer of 2018. He has a Bachelor of Environmental Soil and Water Science degree from the University of Arkansas. Jordan assists the field crew with the day to day planting and maintenance of all past and present WCRC projects. Jake joined Watershed Conservation Resource Center in June 2015 as a Part-time Field Technician. Jake assists with planting and maintenance work at WCRC's project sites. He is currently working on his degree at the University of Arkansas. Lori has been with Watershed Conservation Resource Center since January 2008. She has an Associate of Applied Science degree from Des Moines Area Community College. As Office Administrator, Lori handles the day to day office tasks, bookkeeping, and maintenance of WCRC's website and social media sites.